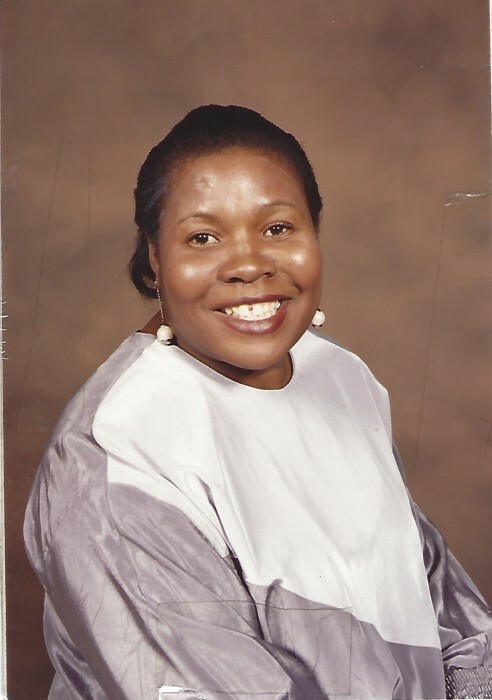 Obituary for Marie Armande Aubourg | Bell Funeral Home, Inc.
Armande Marie Aubourg was born in Les Cayes, Haiti on November 10, 1950. She immigrated to Queens, NY in 1981 before moving to Providence, RI in 1986. She worked a rewarding career as a Certified Nursing Assistant, which allowed her to provide a fruitful life for her children and family. A firm believer in Christ, she was an active member of the Ephese Church family. She was a prayer warrior, always present for others during their time of need, and always volunteering to lift them up in prayer during her own personal time. In addition, Armande greatly enjoyed spending time with her family. As her children grew and started families of their own, she prided herself in being the matriarch of the vastly expanding Aubourg line. She was also a lover of Haitian and Francophone African films, which she indulged in as a form of relaxation during her days off. Her legacy shall be carried on by her children: Murielle Aubourg, Willande Aubourg, Willaznard Aubourg, Bichara Aubourg, David Lassegue, Fatima Aubourg, Claude Michelle Aubourg, Jean Aubourg, and Marc Aubourg; as well as her grandchildren: Telicia Derose, Nicholas Durand, Starlette Munoz, Mandela Davis, Alanna Harper, David Petrarca and Olivier Davis. "Our mother was a fighter. There was not a single trial or tribulation that she could not get through. Thus, watching her always gave us confidence in her ability to overcome obstacles. Her perseverance is one of the many firm qualities that she has instilled in us as a family, and together we watched her strength increase over the past two years. She fought the good fight. Through her diagnosis, chemotherapy, and her remission journey, her faith never wavered. She was selfless, and always sought ways to be a pillar for those who needed strength. She did not want the attention to be placed on her, but instead, she preferred to offer it to those in need. She believed in doing The Lords work up until she finished the race. She remained prayerful at all times, trusting and believing that she would be made well, and that her purpose here was yet to be fulfilled. She also remained an active member of her church, participating in prayer calls and always loaning a helping hand to others. She was truly a servant leader, always paving the way through prayer and petition. Her sense of humor was always sure to put a smile on the face of those whom she interacted with daily. She was a lover of all people, a wife, a mother, a sister, a friend, and most all, she always kept her faith."